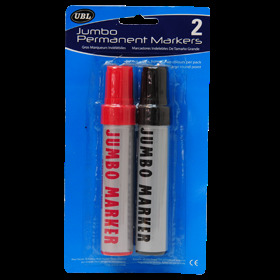 Permanent Markers Jumbo 2Pk. 150 x 23mm. Red and Black | Black and Blue. PP l Ink. 30G Packaging: Backing Card.